We all have our own place on this string called life. 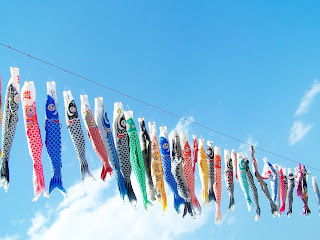 Children's day in Japan happens on the fifth month of the fifth day to respect the individual personalities of all children and to celebrate their happiness. 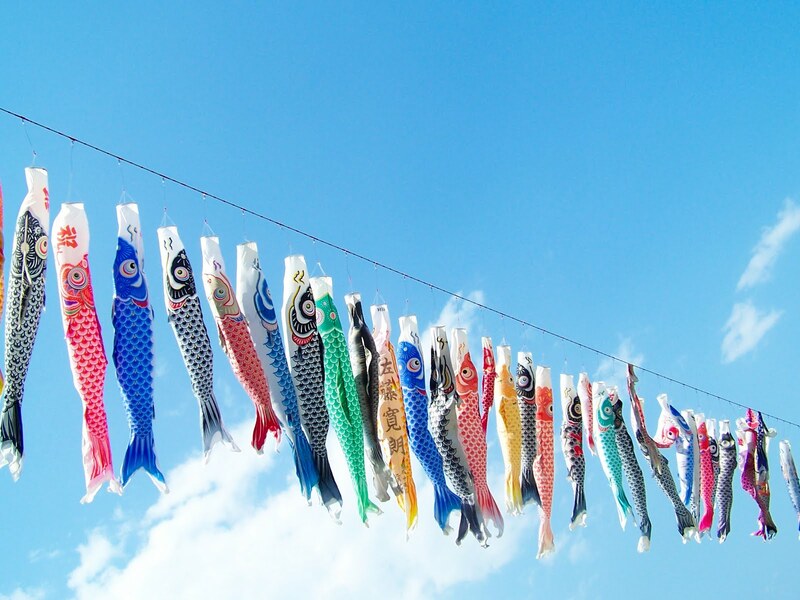 Carp like flags are raised high in the sky, taken from a old Chinese story of how a carp would swim upstream and became a dragon. So now Japanese people use the symbol of carps in hopes that their children will be strong in the future.